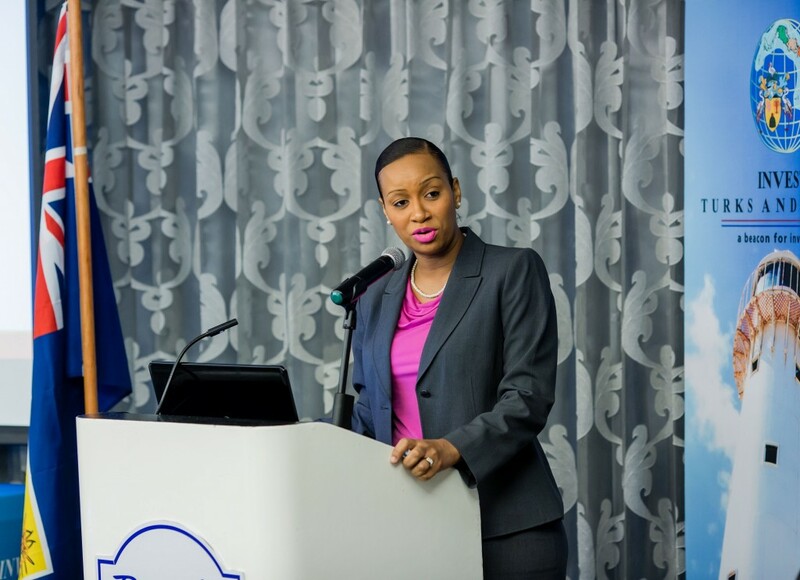 CaribPR Wire, Providenciales, Turks and Caicos Islands, September 9, 2016 : Invest Turks and Caicos on September 1st hosted its first conference since the establishment of the Investment Agency. Under the theme “Enhancing National Competitiveness,” the one-day event, held at Beaches Resort Village & Spa, brought together representatives from the public and private sectors to discuss areas of importance for strengthening the Islands’ economic competitiveness as well as providing an opportunity for businesses to contribute to future Government policy making. The conference was divided into two parts, with a plenary held in the morning featuring presenters, Her Excellency Anya Williams, Deputy Governor; The Honourable Washington Misick, Minister of Finance, Investment and Trade; Felecia Linch, Programme Director, TCI Business Transformation Programme; Mark Durliat, CEO of Grace Bay Resorts; Dominique Rolle, President of Young Corporate Alliance; and Keynote speaker Felicia Persaud, Founder of Hard Beat Communications and Invest Caribbean Now. The afternoon roundtable sessions provided engaging and enlightening discussions around three industry sectors offering potential growth for the TCI: Technology, Agri-business and Financial Services. Facilitated by seasoned industry representatives and public officials, the round-tables elicited comments and feedback from the audience to draft a short action plan to suggest opportunities for growth of the specific sectors. In his closing remarks, John Rutherford, CEO of Invest Turks and Caicos, said that he hoped the conference will be the first of many important events the Agency organises. He thanked the plenary speakers and facilitators and stated that “the success of the event was due in no small part to the excellent contribution by all participants.” He said that it was important to keep up the momentum created by the conference and ensure that the actions and promises made were followed up. The Honourable Washington Misick, Minister of Finance, Investment and Trade, commended the Agency for a job well done and stated that the conference was an eye opener for him and he had found it extremely useful. Honourable Misick stated that it was important to continue a national dialogue on improving the economy and he announced that Invest Turks and Caicos and the Ministry of Finance would launch a quarterly Government Business Forum to identify and discuss issues and come up with specific actions. He also envisions the National Competitiveness Conference to grow into a bigger event in future years. Invest Turks and Caicos Agency wishes to thank all participants for making the event a success and look forward to hosting similar conferences going forward. Invest Turks and Caicos is the Islands’ Investment Promotion Agency, responsible for enhancing the economy through the attraction, growth and retention of overseas investment; and supporting the growth of local businesses. – ongoing support following set up. We also work actively to support the growth of local businesses, including the management and delivery of the Micro Small and Medium Enterprise programme which provides concessions and reliefs to locally owned businesses.